Is the "Jade Helm 15" exercise involving hundreds of U.S. special operations troops set to begin this month in the Southeast really an exercise involving the use of artificial intelligence (AI)? It's possible, say analysts who believe that "JADE" is an acronym for a Defense Advanced Research Project Agency (DARPA)-developed AI quantum computing technology that is capable of producing holographic battlefield simulations. The technology, they say, is heading up the drill in order to "master the human" domain and learn to predict human responses. As reported by The Daily Sheeple news website, a poster going by the handle of Level9News has posted a 38-minute YouTube video explaining why she believes that JADE Helm is an AI-centric exercise. She begins by noting that Raytheon, one of the world's largest defense contractors, has a program called BBN Technologies, which, according to Level9News, is essentially "innovation on demand." Raytheon BBN Technologies is one of Raytheon's premier research and development centers. Our diverse research portfolio combines the best technologies to deliver innovative, custom solutions with real-world benefit. -- Our world-class quantum research team is enabling next generation quantum sensing, quantum communications, and quantum computing. -- BBN's multi-sensor processing systems are in use in the U.S Navy, the UK Royal Air Force and the Canadian Navy. -- Our software has been a major part of every generation of North American tactical IP military network. -- We continue to lead in speech recognition technology, making dramatic improvements in accuracy. "If you've been wondering why the NSA is collecting all of your voice communications, this is why," Level9News said. Under the headline, "Rise of the Machines," she wrote that JADE is simply AI quantum computing technology that can produce the holographic battle simulations and, in addition, "has the ability to use vast amounts of data being collected on the human domain to generate human terrain systems in geographic population centric locations" as a means of identifying and eliminating targets - insurgents, rebels or "whatever labels that can be flagged as targets in a Global Information Grid for Network Centric Warfare environments." The JADE II battle field [sic] system is cognitive and intuitive. It can examine prior executed battle plans and devise 'new and better' strategies to increase the 'kill chain.' The II generation of JADE has the capability for two way communication with drones through the OCCOM technology which is one of the next generation integrations to this system. She writes that using Jade Helm technology will mean that AI, and not regular human military commanders, will direct battles. On the Raytheon BBN site, the company explains that its technology is useful in all sorts of environments where "shooter detection" - for helicopters, for vehicles, for fixed positions, for dismounted troops - is required. 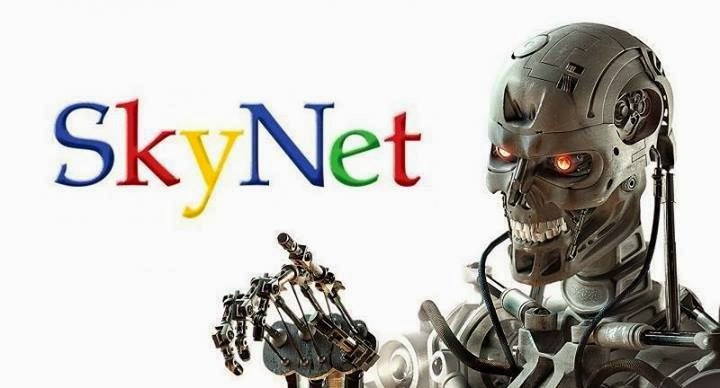 Is the Pentagon building 'Skynet'? Some believe that the rollout of drones on the battlefield (and in American cities) means that human elements are going to be combined with AI computers to conduct operations. They also say that weaponized robots are not going to be far behind. Equipped with AI, such robots will be capable of learning as they go, eventually taking the decision-making out of the hands of humans. It is very much like the "Skynet" system of AI and weaponized robots portrayed in the "Terminator" movie series, say some experts. Clearly, artificial intelligence research is ongoing. In one recent study conducted by Google scientists, an AI bot was asked a series of questions regarding morality, ethics and human existence. Machine: The fact that you have a child.